DIRECT FROM LOURDES - Divine Mercy Novena Booklet. 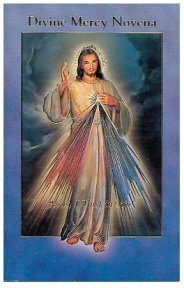 Divine Mercy novena booklet with beautiful Italian art work and laminated cover. The novena book is 24 pages.